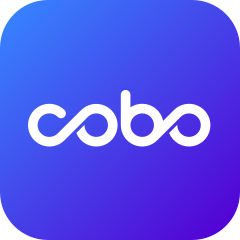 Users can vote for TRON Super nodes when you have a HD wallet on Cobo. 1. There must be a certain amount of TRX in the users’ account when voting for super node contestant. 2. The maximum amount of votes for one user must not exceed the TRX locked by the account. 3. Each user can vote multiple times for multiple candidates and each candidate can cast multiple votes. 4. Users need to lock a certain number of TRX before voting. TRX can be unlocked after 3 days of lockout and votes will be canceled after unlocking. 5. The voting cycle is every 6 hours. At world time 0:00,6:00,12:00 and 18:00, the final voting results and nodes list will be continuously updated. The updated votes will take effect in the next voting cycle. Select HD wallet firstly and click"TRX" wallet page. Basically, Bandwidth Points is take as to trade and energy is used for interaction and execution of the smart contract; so the ordinary transaction consume bandwidth and Dapp consumes both bandwidth and energy. Voting can freeze bandwidth as well as energy. Confirm "Freeze" and confirm the information is correct. Enter PIN code to complete freeze. Unfreezing after 72 hours of freezing. Click"Vote" and select the node you want to support, enter the amount after the node name, then click"Vote" and enter PIN code to send. Each user can vote multiple times for multiple candidates and each candidate can cast multiple votes.